Here is a first time at Joy of Dance opportunity not to be missed! A workshop about partner dancing for male and female teens with 2-5 years of ballet experience. Date: April 28 – 4-6:00 p.m.
Marq Frerichs began training at the age of eleven at the George Brown School of Dance. He attended the Professional Program at Canada’s National Ballet School (1982-1985). He then moved to Ulm Germany on offer to work in the Stadt Theatre Ulm under Pierre Wyss. For two seasons he worked with the ballet, opera and theater companies, honing his theatrical skills. Ulm incited his understanding of the diversity of the stage and the vast outreach of dance and the arts. Upon returning to Toronto he joined Desrosiers Dance Theater as a principal dancer. After 5 years he became the company’s ballet master and fulfilled both positions to complete a decade long role in the company. Desrosiers toured extensively throughout Europe, North America and Asia. As ballet master he taught master classes for Desrosiers, notably at the Aspen Dance Festival and at SUNY Purchase. In 2013 Marq obtained his teaching diploma and Cecchetti Associate from Canada’s National Ballet School, both awarded with Distinction. In 2017, he obtained his Cecchetti Associate Diploma and a certified instructor in the Progressive Ballet Technique, levels 1-3. He has been a member of the Artistic Staff at Canada’s National Ballet School since graduating, working in both the Professional Ballet Program and Teacher Training Program. 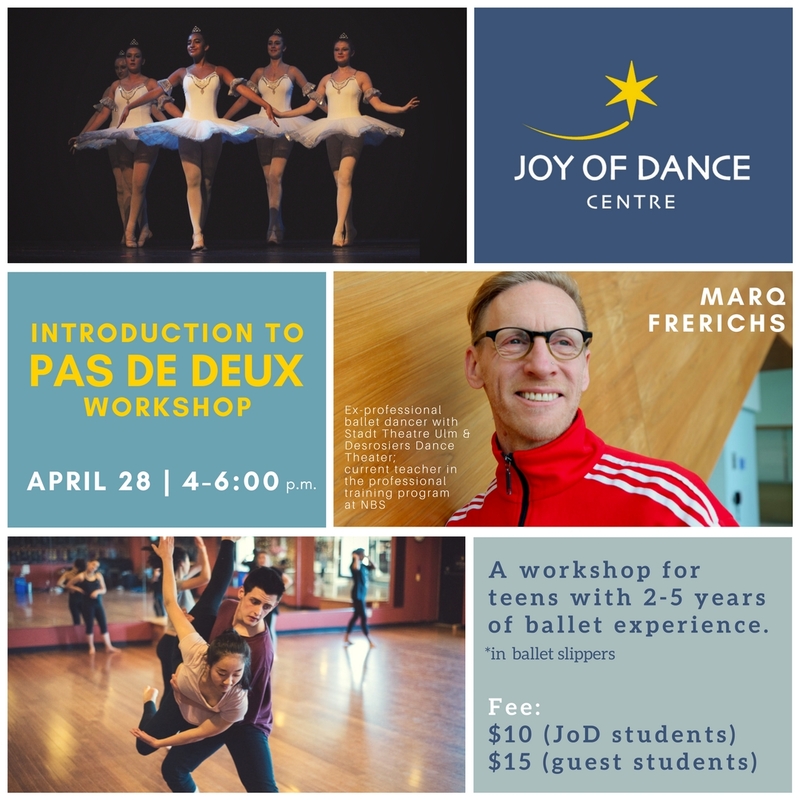 Marq, is currently the Director of Ballet at Elan Dance Arts and a guest teacher with Canadian Children’s Dance Theatre, Canadian Dance Company, Youth Ballet and Contemporary Dance of Saskatchewan and the Cecchetti Society of Canada.